First. I am absolutely ashamed to admit that I have no had a SINGLE Smore this entire Summer. It’s August. This isn’t fine. 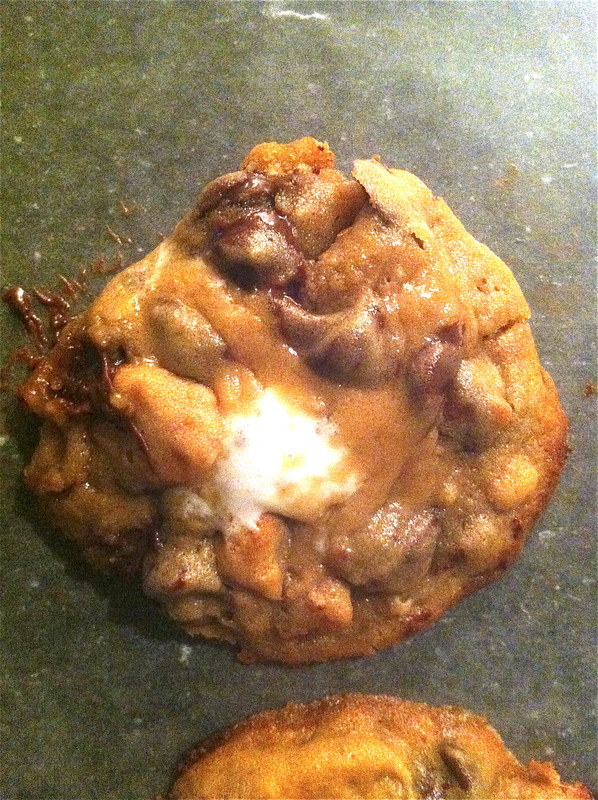 As I realized this the other day, and had a sweet tooth the size of Texas, I just knew I had to suffice my smore craving by making something ooey gooey and chewy. 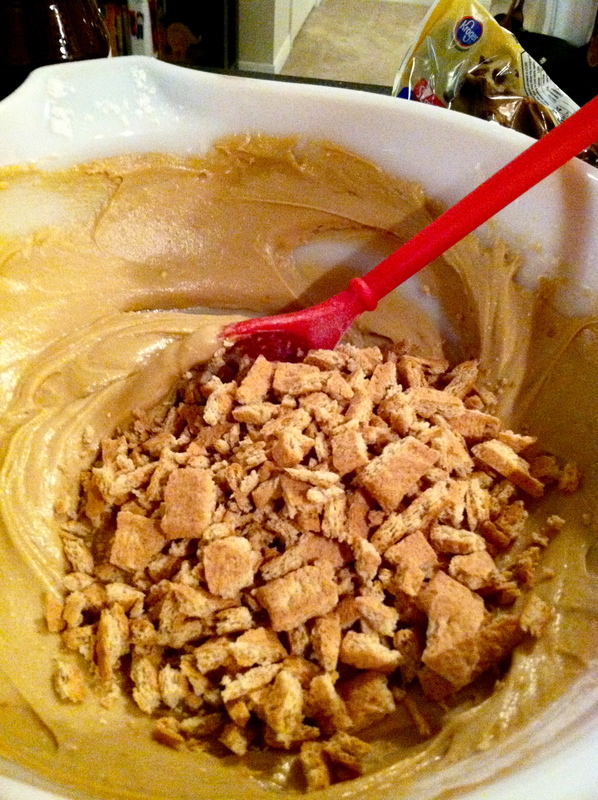 Do you ever just get in the mood to bake? It seems every Friday night that’s all I want to do (old). Whatever, there’s nothing better than a glass of wine, chick flicks and baking! I found this delicious recipe here. I must say, these cookies turned out delicious and made my entire apartment smell uh-maze-ing…however, they don’t look as pretty as I would hope 😦 oh well. Ugly cookies are cookies, too! No cookie left behind! 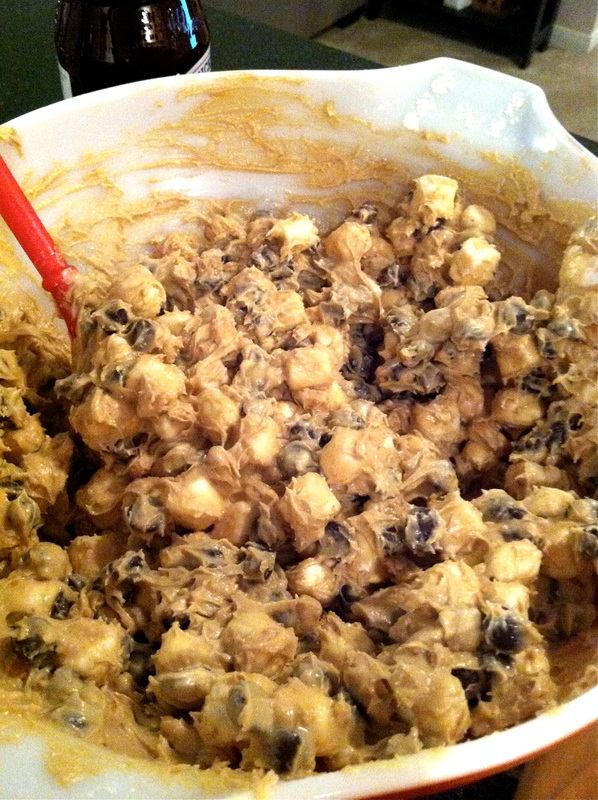 To avoid ugly cookies — I would definitely suggest refrigerating your dough overnight. 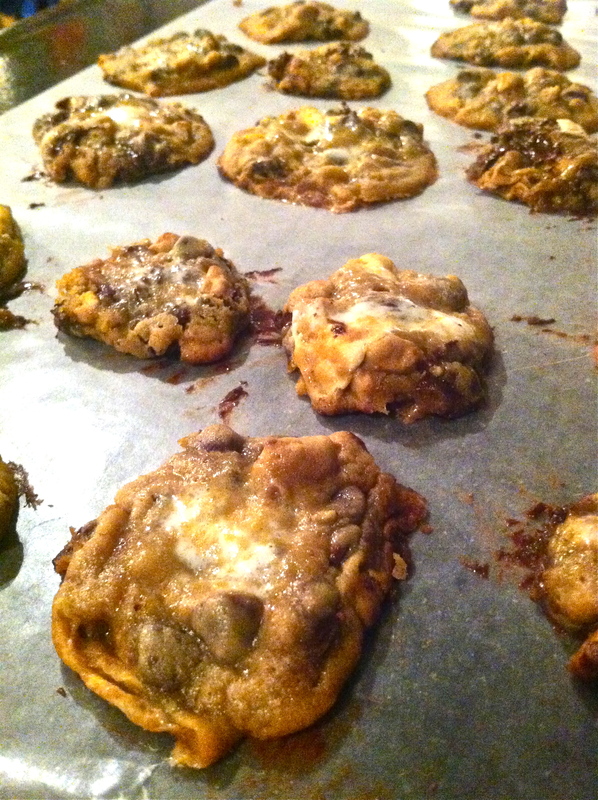 That way when you bake the cookies they don’t melt into flat pancakes like mine did. Just some food for thought! 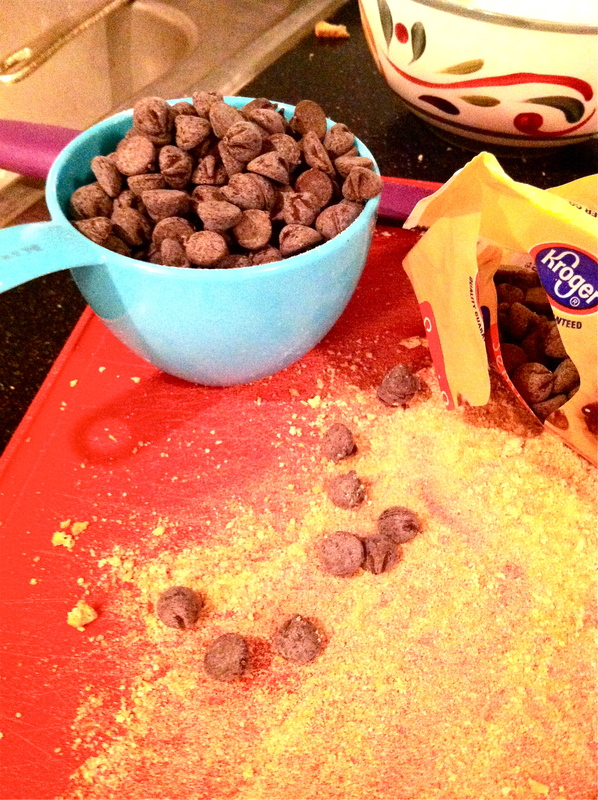 Add the graham crackers, chocolate chips, marshmallows and beat momentarily to incorporate, less than 1 minute, or fold in by hand. Preheat oven to 350F, line a baking sheet, spray with cooking spray. 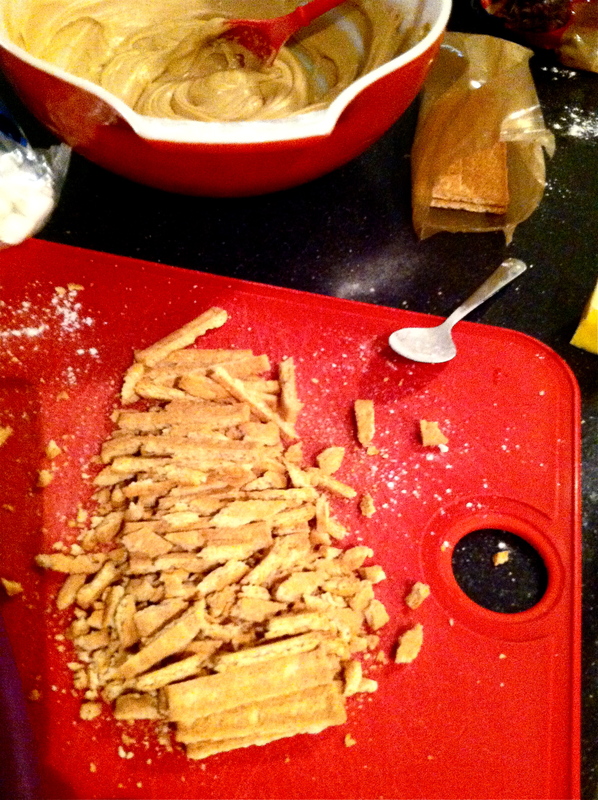 Place mounds on baking sheet, spaced at least 2 inches apart (I bake 8 cookies per sheet). Bake for 8 minutes, or until edges have set and tops are just beginning to set, even if slightly undercooked, pale and glossy in the center. 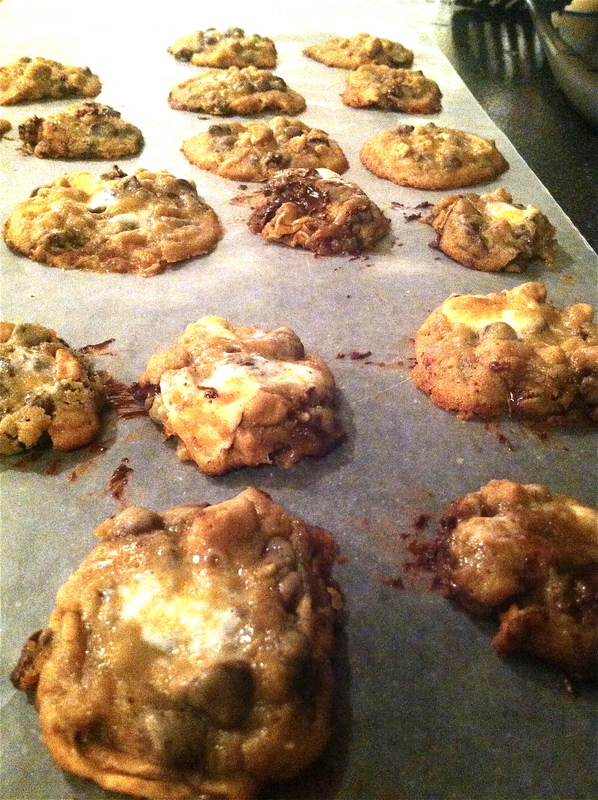 Do not bake longer than 9 minutes if you want ooey-gooey Smores-like cookies because they firm up as they cool. This entry was posted in Recipes and tagged baking, chocolate, cookies, cooking, delicious, dessert, food, smores, sweet tooth, yummy on August 10, 2013 by Brittany.